Real Madrid captain Sergio Ramos has reportedly made it clear to club president Florentino Perez that he does not want Jose Mourinho as manager and would prefer Tottenham boss Mauricio Pochettino instead. According to Don Balon, Ramos is a fan of the Spurs manager, warning Perez that the return of Mourinho could be bad news for the Madrid dressing room. The Portuguese left the Bernabeu under something of a cloud in 2013, and has ended up going similarly downhill in subsequent spells at Chelsea and Manchester United. Pochettino, meanwhile, looks a hugely exciting coach, having done brilliant work on a limited budget in his time at Tottenham. 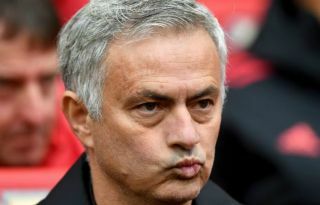 ESPN have claimed he’s one of the leading candidates to be the next Manchester United manager, with Ole Gunnar Solskjaer only coming in until the end of the season since Mourinho’s sacking. If you had to pick one to be next Man Utd manager, who would it be? The Argentine would also be a fine appointment for Real, however, who have struggled since Zinedine Zidane left in the summer. It remains to be seen what job offer would be the more tempting for Pochettino, but Tottenham will surely hope that, if they are to lose him, he goes abroad instead of to a major rival.